Would you like to be a part of the $200 billion in merchant sales in the upcoming year? Then it may be worth implementing a gift or loyalty card into your marketing plan. With these cards, small businesses have a powerful way to compete in the marketplace. What your company gets out of its gift and loyalty program depends on the effort and commitment you invest. Before you jump in with both feet, however, it’s important to understand the costs, profitability and psychology of a gift and loyalty card program. A customer purchases a gift card, paying with cash or a credit card. 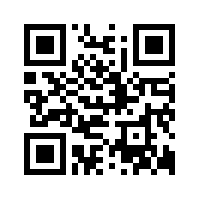 When your employee scans the barcode on the card, he or she swipes the card in the POS terminal that activates the card. Next, your employee inputs the purchased amount (load value) onto the cardholder’s account. Once the gift card is purchased, both the vendor and the customer get a receipt. Later, when the customer uses the gift card to make a purchase, the card is swiped through the POS terminal for the amount of his or her purchase. The POS system deducts this amount from the card and shows the card’s new balance. The receipt that’s printed from this transaction shows the purchase data along with the new balance on the card. This new balance can also be viewed on the POS terminal. Experts estimate that approximately 20% of gift card holders don’t spend the card’s full value. What’s that mean for your company? The remaining balance goes to your company’s bottom line. Additionally, returning customers generally spend 30% more than the gift card’s face value, known as uplift. 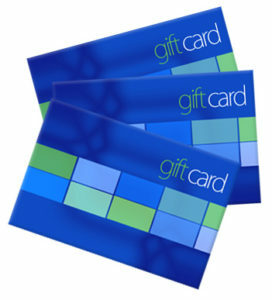 Gift cards make great promotional tools used as incentives to bring back current customers or attract new customers. And when it comes to returned items, consider a gift card for payment. This inspires a customer to return to your store rather than a competitor. There are certain legal requirements to keep in mind. New federal legislation prohibits expiration dates or fees on gift cards. 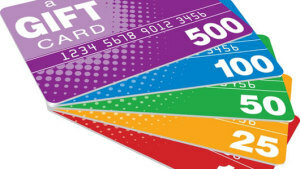 The only case where expiration dates can be used on a gift card is if the card is given away during a promotion for specific goods or services. With gift and loyalty card programs, businesses must always be aware and comply with existing and emerging legislation. One of the best benefits of gift and loyalty card programs is the psychological effect it has on customers. Gift card recipients often perceive the value on the gift card as “found money” or “free money.” A gift card feels like a credit card but the psychological effect is much stronger because it’s the same as cash so once you make your purchase, the debt doesn’t follow you home. This is why customers using gift cards spend more in your store or place of business. Similarly, customers with FREE $5 gift cards for your store are that much more likely to shop at your store instead of a competitor. Larger businesses may rely on a display within their business to promote the loyalty card, but smaller businesses have success including gift and loyalty cards to their direct mailings, as holiday or promotional gifts, special discounts, and on printed marketing materials. Gift cards are also a win-win when it comes to charitable donations. Not only is your business helping a good cause, it is generating name recognition as well. Once you implement a loyalty card program, the next hurdle is how to inspire customers to keep coming back to your store. By “cycling” your cards, the task becomes less of an obstacle. As long as there is an amount on your customers’ cards, they’ll have a need to come back to your store. Before a customer’s card reaches a zero balance, create another reason or benefit to encourage repeat visits. This could be a seasonal-themed event, customer appreciation or celebrating your years in business. Once you adopt this method, repeat visits become an unconscious habit for your customers. A local florist increased its sales with a delivery gift card strategy. Knowing the recipients should be viewed as potential customers, they targeted this market by including a free $10 gift card with each delivery. As a result, the florist saw a significant increase in orders. A small clothing retailer used a loyalty/rewards strategy to even the playing field when it came to competing with larger clothing chain stores. Asking customers if they’d ever shopped at their store before, customers who answered no received a key tag with a $5 face value. The free key tags worked. Patrons who received the key tags began to shop at the store more often, motivated to buy more because of the gift. This “reciprocal agreement” sales technique continues to work for this small clothing retailer. A high-end jeweler in the St. Louis area offered rebate gift cards worth $50 during the holiday season. Targeting shopping mall browsers, mall visitors and customers via direct mail, they boosted sales and had better success than they did holding a traditional sale. Gift and loyalty card programs aren’t just for retail outlets. All sorts of businesses like beauty salons, massage therapists, accountants, restaurants, home improvement companies and auto repair shops have had success using them as well. 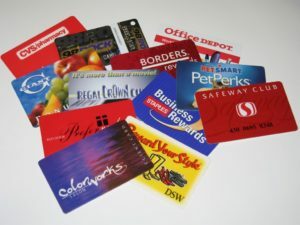 Gift and loyalty card programs are no stranger to great deals and ongoing business. Try one out for size. 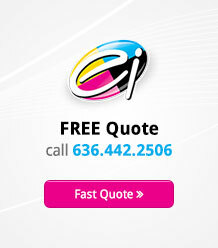 They may be just what your customers are waiting for. Loyalty Card Program: Eight Reasons Why You Should Have It!